Google showing website name in mobile searches - SmackSmog! 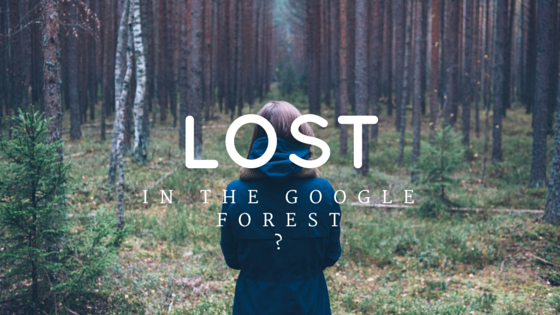 A few days ago a nonprofit client called and said that she was feeling Lost in a Google Forest! A recent Google search of their site on their iPhone turned up differently than it had in the past. Instead of the domain name in old URL fashion, the Google search included the actual site name in a breadcrumb format. Sometimes when things change, especially when it involves something as critical as a site’s URL and how it shows up in a Google search, it is cause for concern. Anyway, in this example, Google is updating the way URL’s are presented in mobile device searches. So instead of a site’s domain name coming up when you search for something on your phone, the site’s actual name comes up. Followed by a breadcrumbs-style site map showing how the page fits into your site. In the past, you would simply get the domain name and the URL address of the page. If you are Google Geeky like we are you can read about it here. If not then just keep reading. Its pretty cool stuff. Here is a screen shot of what the HTML code looks like for the Google Mobile Searches Bread Crumbs. Pretty cool stuff isn’t it? Simple and elegant. Ahh we love those Google Engineers! Google is trying to improve the user experience, particularly when it comes to mobile use. Users will now be able to better understand the results of their searches. Like if your domain name is “shoe” but your site is about dogs. That’s a little confusing, right? Here is why this is good for our client, the one who was confused by the change. When someone searches for something related to their nonprofit on their mobile device, they now get to see our client’s site name, which gives them a pretty good hint that they have found what they were looking for. Often domain names are chosen for brandability rather than keyword meaning, so this is huge (remember the shoe/dog example). And in our client’s case, a nonprofit’s domain name might not always reflect the services they provide. For them, this update is key. So yes this change is a positive thing, but only if you have an awesome web developer taking care of your site. (More on that soon.) In addition, with the Google Mobile Searches breadcrumbs-style format now showing the page organization of our client’s site rather than a long, complicated URL, users are much more likely to stay and look around a while rather than clicking away. All of this is well and good for our client, but no so much for people who let their niece with three jobs or their nephew with a limited knowledge of html, run their websites. That’s because we know how to use structured data markup to give Google the preferred site name our client wants to display in Search results. In fact, we can provide more than one, and allow Google Search algorithms to choose between them, according to the search. But that’s not all. We also understand the criteria that a website name has to meet in order for Google to use the one provided in markup. And we did all of this before breakfast, or at least before anyone noticed. Does your niece have time to do all of that? If not, unfortunately, you won’t benefit from the updates to URL presentation in mobile searches at all. But back to our client. We explained that we had been one step ahead of the changes, and had utilized structured data markup to give Google their site’s name. Thank goodness my niece no longer runs our website.